The Russian robot company Promobot is being accused of faking a video that went viral online. The video in question shows the Promobot robot standing at the edge of a driveway and as a Tesla vehicle drives by the robot falls over. Promobot states the Tesla vehicle was in a self-driving mode and hit the robot, but many people online are quick to point out that it appears more likely the robot was pulled over by ropes as the Tesla passed by. 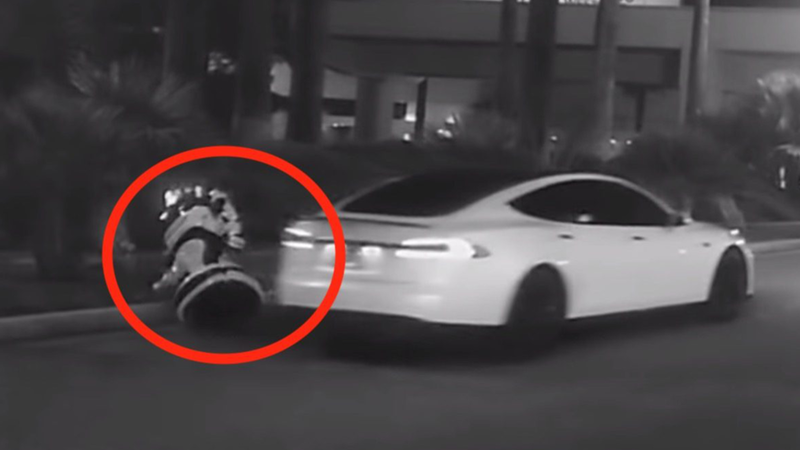 There are still many unanswered questions about the video like why the robot was even out on the driveway at night, and if the Tesla did hit the robot why did the driver not stop, also what camera captured this video because it appears to be too low for a security camera. Overall this looks like an attempt by Promobot to create a viral video as a publicity stunt.